Without her, none of these cakey shenanigans would happen. In 2010, Lynn Hill decided to start her own cake club. Locations would be kept a secret and each would have a special theme. The result would be a beautiful variety of cakes, people having the courage to tweak recipes or create their own, and eventually an army of members who bake, eat and talk about cake. The Clandestine Cake Club has a very special place in my heart, as does the lady who created it. Lynn works tirelessly to keep the club going; from updating the website with our many events, to hours of promotion to ensure the club goes from strength to strength. 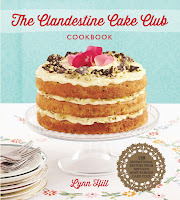 Lynn has just written our very first Clandestine Cake Club Cookbook, complete with members' recipes and some of the prettiest cake photography you ever did see. Some of the story is in the new Clandestine Cake Club Cookbook, so I won't give too much away. But in a nutshell I loved the idea of people getting together over tea and cake. The social aspect of it intrigued me, but after an unsuccessful search on the internet to find a baking club for me to join, I decided to create one myself. A simple concept of finding a venue, where people can bake, eat and talk about their home made cakes - while making friends at the same time. I'm pleased that people understand and love the sharing aspect that only a large cake can bring. Clandestine Cake Club is about sharing. I like most cakes, but my favourites are usually citrus based, especially if they are a three tiered Pistachio and Lime cake. The one that's on the cover of the Clandestine Cake Club Cookbook, it's my recipe. My most favourite cakes to bake are the ones I make for the first time, I find a recipe book and decide what to make, but I often add my own take on it and sometimes come up with something completely different. I was approached by a literary agent nearly two years ago with a view to creating a cook book. From that first email to print date it's taken nearly two years. 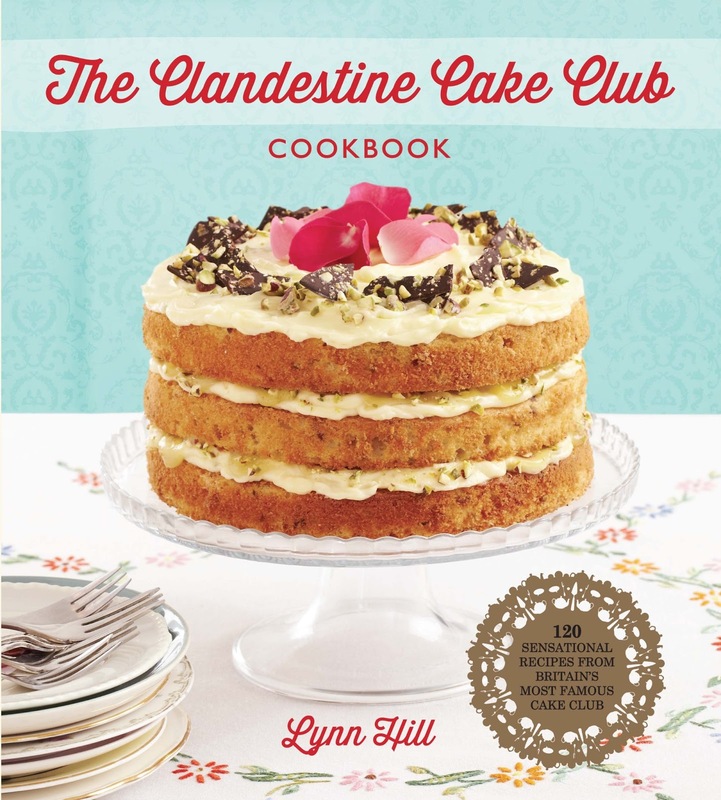 During those years I set about building Clandestine Cake Club into what it is today, and with all the media coverage it was getting, lots of publishers began to take an interest. The Clandestine Cake Club Cookbook is published by Quercus books who have been a wonderful team to work with, and so have Stuart and Claire of MetroStar media. How many recipes were submitted? Was it hard to choose? Off the top of my head there were nearly 200 recipes submitted from a then membership of 2000, which is quite a good uptake! 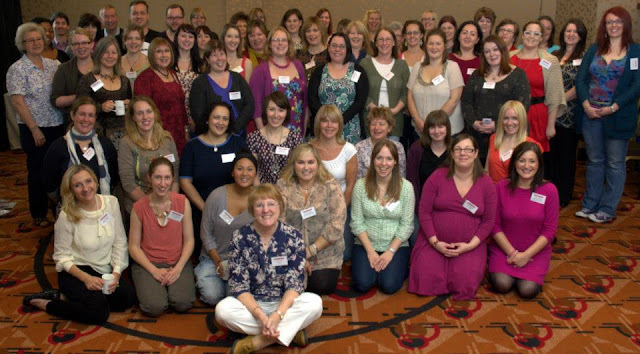 There are well over 6000 members currently registered with Clandestine Cake Club. Choosing which recipe should go into the book was very difficult and some had to be set aside to make way for the ones you find in the book, there just wasn't enough room for them all. I'm very proud of the recipes that are in the book and sad that we couldn't include the rest, they were all amazing cakes. Attending a photo shoot really brought home the amount of hard work that goes into creating a cookbook and the amount of people involved in it. So the next time you pick up a cookery book take a look at the credits page to see just how many people were involved in it. Designers, stylists and photographers. Everything was planned meticulously by the design team. Getting that perfect shot can take hours, and some shots took longer than others, the attention to detail was amazing and it shows in the book. We visited an actual Clandestine Cake Club event in London which was fun and at one point we were actually out on the street taking pictures. More photo shoots were held in Bath, Leeds and Wiltshire. With pictures needed for nearly 120 cakes, it was quite a task for the design team to work on, but they did a wonderful job in the end. I'm very pleased with it all. How much testing did you have to do at home? I was involved with a small amount of recipe testing but on the whole all of it was done by a professional, Jane Middleton. Take a look at some of your cookery books and I bet you'll see her name in the credits. What's in store for CCC in 2013? Some of it I will have to keep very close to my chest for now, well I am in the business of keeping secrets! But hopefully the membership will continue to grow with more clubs opening on a regular basis, including new ones overseas. As long as people continue to want to Bake, Eat and Talk about cake, then I'll be happy with that. A big thank you to Lynn for taking time out of her busy schedule!